Many people, men and women alike, carry insecurities with them. “I’m not thin enough.” “I’m not smart enough.” “I’m not funny enough.” “I’m not good enough.” These are common, painful thoughts that many live with daily. But why? Why do people let these negative feelings infiltrate their thoughts? And why do these feelings stay with us for so long? After falling victim to bullying in her adult life, Tacoma photographer Alana Tamminga wanted to explore this question. What she didn’t realize was that the answer to her question would lead her to something much bigger. Alana Tamminga started the Raw.Honest.Loved. 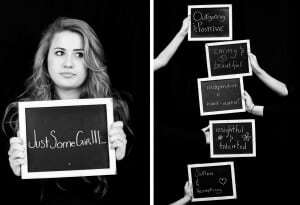 project as a way for women to talk about and overcome their insecurities. Photo courtesy of Alana T Photography. Turning to her area of expertise, Alana decided she would use her camera to help women talk about and overcome their insecurities. “I decided to have this night where women would write down their insecurities and we would talk about it,” she explains. Wanting to make sure that the women would walk away from the experience feeling supported, empowered and healed, Alana decided that she would contact the friends and family members of each participant and request notes of positivity — messages of appreciation, admiration and love. Since launching the Raw.Honest.Loved. 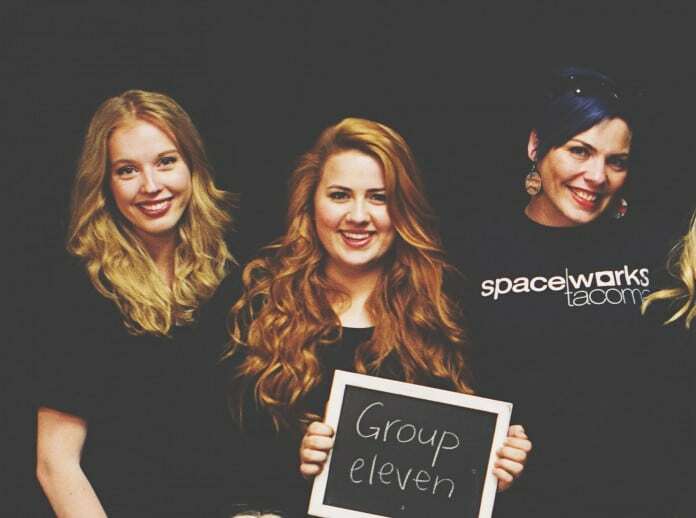 project, Tacoma photographer Alana Tamminga has hosted workshops for men, women, teens and more. Photo courtesy of Alana T Photography. 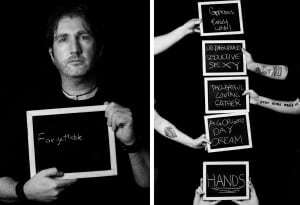 After each woman talked about her insecurity to the group, Alana asked the participants to pose for a photo with a summarized description of their insecurities written on a chalkboard — a visual reminder showing each of the participants that their insecurities do not define who they are. Next, Alana read the positive notes she collected from friends and family to each participant. Alana says the notes helped to counteract the negativity, leaving each woman feeling strong and supported. The Raw.Honest.Loved. project was born. The result of the the project was powerful, and Alana went on to host more workshops. Ana-Elizabeth Arnao was a participant in one of the groups, and she says her experience was nothing short of healing. In spring of 2015, Alana Tamminga took Raw.Honest.Loved. to Iowa where she hosted a workshop for a group of teen girls from Decorah. Photo courtesy of Alana T Photography. It wasn’t long after this realization that Alana was contacted by a girl named Becca, a high school student from Decorah, Iowa. Becca was doing a school project on self esteem and had come across Raw.Honest.Loved. during her research. Becca wanted to interview Alana for her report. During their correspondence, Alana learned that the small town of Decorah, Iowa (population 8,000) had lost three teens to suicide in just two years. Alana was alarmed. Then things got worse. Shortly after their first few emails, Becca wrote to Alana informing her that there had been another suicide. Alana asked Becca if she would be interested in getting a group of students together for a Raw.Honest.Loved workshop — in Iowa. Becca thought about and agreed it was a good idea. Within a month, Alana had created a GoFundMe account and quickly earned enough money for the trip. Alana arrived in Iowa on April 27, exactly one month after she decided to bring her project to Decorah. Alana headed to the local college where the workshop was to be held. As the six teenage girls arrived, each took a seat. Like with all of Alana’s groups, the participants didn’t know what to expect, but as soon as the first girl spoke, everyone began to feel more comfortable. However, what was different about this group was that the girls didn’t want to just talk about bullying or their insecurities; they wanted to talk about the school and the pressure they’re all put under. The workshop was a whirlwind of emotions. Alana Tamminga poses with the Decorah, Iowa, group. Photo courtesy of Alana T Photography. Like all the other workshops, this one ended on a positive note. But Alana left with a new perspective. She realized that, when a teen takes his or her life to suicide, people don’t talk about it, because they don’t know how. Now, back at home in Tacoma, Alana is working to put together more groups and remedy the lack of conversation surrounding suicide. Alana wants to put together suicide-focused groups, men-focused groups, LGBTQ-focused groups, and any other type of group that there’s a need for. But the need for these kind of workshops is greater than Alana can take on herself. “I’m passionate about doing it, I’m just trying to figure out the right way to go about it,” she says. Alana wants to travel with her project, taking it to communities that will benefit the most. She’s currently trying to partner with a non-profit that can help her grow the Raw.Honest.Loved. project, but until then, she will continue hosting workshops once every other month, helping people communicate and heal through the support and love of their community. You can learn more about Alana Tamminga’s photography and the Raw. Honest.Loved project online by visiting Alana’s website, blog or Facebook page, or by contact Alana directly at alana.t.photography@gmail.com.